What is Counseling ? Salient features of counseling ? What are the Qualities of an effective counselor / helper ? Counseling : People seek the service of professional helpers-counselors, social workers, psychologists and psychiatrist - when their capacities for responding to the demands of life are strained, when desired growth seems unattainable, when important decisions elude resolution, and when natural support systems are unavailable or insufficient. Sometimes the person in need of help is urged or required to seek counseling by a third party, spouse, parent, employer, teacher, or judge who believes the individual is failing to manage some important aspects of life effectively. The purpose of counseling, broadly conceived, is to enable the client to cope with life situations, to reduce stress, to engage in growth related activity, and to make effective and important decisions. Counselors increase their control over present adversity and present future opportunity as a consequence of counseling process. Persons of any age, in any walk of life, and with almost any kind of problems can be helped to gain power over the adversities and opportunities of their lives. Counseling to achieve client empowerment is viewed by some as a generic process that includes same elements inherent of the context in which it is used. It does not matter whether it is performed in an organization, school, hospital or in a community counseling clinic, the basic structure of the helping process remains same. Let us examine a few salient processing of counseling in general in the next section. How counselling differ from psychotherapy ? The two terms `counseling' and `psychotherapy' which have been used interchangeable; But the process and implications for both are different, if not totally but to a great extent. Psychotherapy is practiced mostly by psychiatrist, the clinical psychologist and, sometimes psychiatric social workers. The goal of psychotherapy is to bring about a deep personality change in psychotic and chronic psychoneurotic patients, in terms of a more effective reorganization of psychological process. This is a time consuming process and may last for months or years. Counseling on the other hand is used for marital problems, family set ups, schools, work organizations and in other social situations. The goal is to achieve better personal/social adjustment and growth in maturity, by stimulating the counselee to exploit his/her potentials and optimize use of resources. The people who go for counseling are normal people who need help to cope with different kinds of problems. The personal changes to be achieved may or may not be as deep as in psychotic patients. They consist mainly of a deeper self-knowledge, a change of attitudes, a modification of self-perception and a modification of perception of others. The temporal length of counseling is much shorter than psychotherapy. To be truly effective, the counselor must have a thorough understanding of human behaviour in its social and cultural context and be able to apply that understanding to the particular set of problems or circumstances of each client. Diagnosis and hypothesis generating are critical and inevitable parts of counselor's work. The process of diagnosis has two interrelated functions: first, to describe significant patterns of cognition, behaviour, or affective experience and second to provide casual explanations for these significant patterns. The process includes of developing tentative hypotheses, confirming their validity, and using them as the basis of making critical decisions concerning the. focus, process, and directions of the counseling experience. The process of arriving at a diagnosis is a mutual one in which the client and counselor work together to identify these patterns and their root in the client's experience. This diagnostic and hypothesis-generating process has four dangers. One is that the process often becomes a game that applies labels to clients, that puts them into categories. Once categories, the clients is stereotyped. The client's uniqueness as an individual may be lost. Worse, other important attributes of the client are overlooked because categorizing creates perpetual blinders for the counselor. A. second danger is that helping professionals often make mistakes in their diagnoses, resulting in effective and sometimes counterproductive helping efforts. Third, not all counselors use the same. diagnostic terms for the same client experiences. One may identify a set of problems as depression, another as a manifestation of a dysfunctional social system. Fourth, as is true of many aspects of counseling, the diagnostic and hypothesis-generating process is sometimes affected by the cultural or societal attitudes towards oppressed or culturally diverse groups can reduce the objectivity and fairness. These dangers are real. But they are not inherent in the diagnostic process itself; rather, they are dangers of the misuse of the process. Counselors who accept the role as an understanding of human behaviour and its social and cultural context plays in their works and who comprehend the proper function of diagnosis will work hard to avoid these dangers. It is part of their ethical responsibility. The ultimate purpose of the counseling experience is to help the client achieve some kind of change that s/he will regard as satisfying. Virtually every significant theory of counseling states that creating growth-oriented change in the client is the ultimate intended outcome of the counseling experience. Some say over behaviour change is the sine qua non of the experience. Others say that behaviour change is just symptom change, real and lasting change comes when the client develops new perceptions on self, signifies others, and life. Furthermore, some counselors take a remedial approach; they attempt to help the client change dysfunctional behaviour to more functional patterns, such as overcoming shyness, reducing anxiety, controlling counterproductive anger, or reducing interpersonal conflicts. 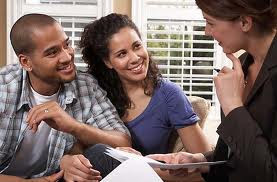 Others believe that the goal of counseling is to help people make important life decisions, here the counselor's role is to help the client use a rational thinking process to resolve confusion and conflict. Still other counselors view their works as stimulating favourable personal and interpersonal growth. Remediating dysfunctionality and assisting in decision making may become important contributions to the overall growth experience of the client for them. It is often difficult to document the change in the client. Behaviour change, if it occurs, is probably the easiest to observe because it is the most tangible. However, clients may also change their views about certain behaviours that they previously regarded as undesirable, they may change in the extent to which they experience stress related to an unwanted situation, or may reduce their general levels of emotional distress or their values as they progress through counseling. For example, a person may come to value family relationships more and work achievement less or may become more tolerant of persons with different political, religious, or social philosophies. It is thus quite difficult to conclude about change. The quality of the helping relationship is significant in providing a climate for growth. The critical elements of the helping relationship that promote openness are described often in the literature of the field: respect (rather than rejection), empathy (rather than shallow listening and advice giving), congruence or genuineness (rather than inconsistency), faculative self-disclosure (rather than being closed), immediacy (rather than escapism to the past or future), and concreteness (rather than abstract intellectualising). Counselors must communicate respect for clients as persons with rights who are trying to live the best lives they can. Genuine caring is shown when counselors try to understand the client's world as if it were their own and give the client's cues about that understanding. Effective counselors share their reactions to the client with the client, using the feedback as a way of helping the client to reach deeper level of self-understanding. The quality of the relationship not only provides a safe and comforting context from which interventions that may help the client are introduced but can also be therapeutic in itself. The experience of a genuine and immediate relationship can itself sometimes be transforming even if there is no other counseling intervention. The counseling process consists primarily of self-disclosure and self-confrontation on the part of the client, facilitated by interaction with the counselor. For counseling to take place the client must disclose personal information to the counselor, who will try to understand the client's world in a context of what s/he knows about how people respond to life situations. Although clients may reveal significant personal information in their nonverbal behaviour, communication in counseling is primarily verbal. Clients reveal their thoughts and feelings to a perspective counselor by what they say, the affect with which they say it, and what they choose to leave in their verbalisations. The more the totally self-disclosure, the more effectively the counselor can help the client discover new ways of coping. Some clients may find self-disclosure easily and for others it is more difficult. Counselors need to be aware of the potential difficulty with self-disclosure, especially with clients from diverse cultural and family backgrounds, where such behaviours are not so commonly fostered. In such circumstances, counselors must be particularly attentive to the establishing trust and must have skills for facilitating client self-disclosure. As the counselor becomes more confident of his/her understanding of the client, s/he may choose to move to a more comprehensive form tentative view point. Because such feedback comes from the counselor's frame of reference, frequently, it will be viewed that the client has not previously considered. It is important for the counselor to be a free of vested interests as best possible in using confrontation as a counseling tool. The client must confront the self with new ways of seeming and understanding it in life situations. Through this process, a new understanding of personal needs, desire, perceptions, assumptions, and cognition's emerge and new coping skills are developed and used. Counseling is an intense working experience for the participants. Sustained energy is required for the counselor. For the related activities of attentive listening, information absorption, message clarification, hypothesis generation, and treatment planning. Beyond these, largely intellectual activities are the emotional experience of caring for another being is lost in those emotions and therefore diminished as the facilitator. The client's hard work comes in the effort to understand what is difficult to understand, in the endurance of confusion, conflict, and in the commitment to disclose to him or herself that which it is painful to think about. This effort, endurance, and commitment require a level of concentration that may never have been experienced before. Growth through counseling is always demanding on the client and is often painful, though at the same time fulfilling and rewarding. Counseling is not the same thing as conversation. In conversation, two or more people exchange information and ideas. The experience is usually casual and relaxed. Counseling, on the other hand, is characterised by much higher level of intensity. Ideas are developed slowly, experienced at a deeper personal level, and understood more carefully than in casual conversation. To provide professional people helping service obligates the helper (counselor, social worker, psychologist, and so forth) to function in an ethical manner. Codes of ethics published by the relevant professional associations will serve to set some needed parameters. Ethical practice may be defined as providing with care, and conscientious effort a helping service of which one has been appropriately trained. Unethical practice occurs when counselors practice outside the limits of their competence, fail to situate clients' interests ahead of their own needs, or fail to respond sensitivity. Because counselors present themselves to the public as persons with special skills help people in need, they have a great burden not to do harm than other citizens who do not purport to be expert helpers. Counselors need to be aware of the great responsibility they take on. Counseling that is incompetent or insensitive or that serves the interests of the counselors not only cause harm to the clients who receive it but also damages the reputation of the counselor's employer and the profession as a whole. Ethical practice means valuing each client as a person with rights to fair dignified and compassionate service. There are ethical dilemmas that present themselves in counseling practice. Understanding ethical principles underlying the codes and broader ethical theories are necessary for resolving some complicated ethical dilemmas. In the long run, the responsibility for ethical action always rests with the judgment of the individual practitioner. Through the years, the characterisics of effective helpers have been among the most popular dissertation subjects. An extensive research literature on this subject by established scholars as well. Most studies attempt to relate particular characteristics, such as dogmatism or experience in the professional, to counselor effectiveness. Counseling is so complex that each study contributes but a small part of the total pictures of what makes an effective counselors. Counseling has often been taken as professional help rendered to those who need it. What qualities are required to be an effective helper, let us now examine them. 1. Effective helpers are skillful at reaching out : Helpers are able to encourage other to communicate openly and honestly with them. They avoid creating defectiveness. This is done by participating in active and involved listening. The ability to concentrate fully on what is being communicated and to understand the content of what is being said but also to appreciate the significance of that verbalisation to the client's present and future well-being. Effective helpers listen actively for feelings, beliefs, and perspectives and assumptions about self, significant others and life circumstances. 2. Effective helpers inspire feelings of trust, credibility, and confidence from people they help : The presence of effective helpers facilitate the clients to sense that it is safe to risk sharing their concerns and feelings openly and that they will not be made to feel ashamed, or criticised for the thoughts, feelings and perceptions they share. Nothing "bad" will happen as a consequence of sharing and there is a very real chance that something productive will come of it. Effective helpers are also credible. What they say is perceived as believable and hones with no hidden agenda. Finally, they ought to be attractive to clients, not because of their personal beauty but because of their likeability and friendliness. Clients who see their counselors as experts, attractive, and trustworthy are more likely to gain from counseling than those who fail to see their qualities in their counselors. 3. Effective helper are able to reach in as well as to reach out : Effective helpers do a lot of thinking about their actions, feelings, value commitments, and motivations. They show a commitment to non-defensive, continuous self-understanding and self-examination. They are able to respond with depth to the question "Who am I?" They can help others think openly and non-defensively about themselves and their own concerns because they are not afraid to participate in these experiences themselves. 4. Effective helpers also like and respect themselves and do not use the people they are trying to help satisfy their own needs: People who only satisfy their own needs can eventually alienate others and make them afraid. This interpersonal pattern blocks honest communication and instead leads to game playing. Truly effective helpers feel secure about themselves and like themselves and thus are not dependent on the people they are trying to help for respect, recognition and acknowledgement. Counselors who are under great stress in their personal lives are at a risk of focusing on their own needs rather than the client's during counseling sessions. In order to avoid burnout, counselors must take time away from work to care for themselves, nourish their own personal support system and get a clearer perspective on their accomplishments as professionals. 5. Effective helpers communicate caring and respect for the persons they are trying to help: By their demeanor, effective counselors communicate to their clients the following unspoken statement: "It matters to me that you will be able to work out the concerns and the problems you are facing. What happens to you in the future also matters .to me. If things work out well for you and you achieve success, I shall be happy about it. If you encounter frustration and failure, I shall be saddened." The opposite of caring is not anger but indifference. Effective helpers agree to offer time and energy to other because the future well-being of the people to whom they are reaching out matters to these counselors. 6. Effective helpers have expertise in some area which will be a special value to the person being helped: Employment counselors have special knowledge about the career development process, the skill needed for decision making, and jobs available in their local community. Counselors who work with children have special knowledge of child development, special counseling tools effective with children, and skill in family counseling. Counseling employed in geriatric settings understand human aging and its positive and negative effects on psychological, social and physiological functioning. 7. Effective helpers attempt to understand the behaviour of the people they try to help without imposing value judgements: People tend to make value judgements about the behaviour of others-to judge the behaviour of others by one's own standards. Though appropriate when casting a vote, this value judging tendency seriously interferes with the process of effective helping. Effective helpers work hard to control the tendency to judge the values of their clients. Instead, they accept a given behaviour pattern as the client's way of coping the same life situation, and they try to understand how the pattern developed. The helper will develop opinion about whether the behaviour pattern is effective or ineffective in serving the client's goals but will refrain from classifying the client's values as "good" or "bad". 8. Effective helpers develop an in-depth understanding of human behaviour : They understand that behaviour does not simply occur. Their approach is that all behaviour are purposeful and goal directed, that there are reasons and explanations for human behaviour, and that truly helping another means understanding the reasons for that person's behaviour must be understood rather than judging them. 9. Effective helpers are able to reason systematically and to think in terms of system: A system is an organized entity in which each of the components relates to each other and to the system as a whole. Examples of systems include the human body, the organizational setting in which a person works and the family unit. Effective counselors are always aware of the different social systems of which clients are a part, how they are affected and how they. in turn influence those systems. In other words, effective helpers are aware of the forces and factors in a client's life space and the mutual interaction between the client's behaviour and these environmental factors. 10. Effective counselors are able to understand the social, cultural and political context in which people operate and have a world-view of human events: Counselors are aware of important present-day events in all the systems affecting their lives and the lives of their clientele. They are aware of the significance and possible future implications of these events. The counselor must have understood current social concerns and of how these events affect the views of clients - especially their views about the future. Among the important contemporary issues which a counselor must attend is how bias and discrimination against some groups in society affect their personal well-being and progress toward self-actualisation. 11. Effective helpers are able to identify behaviour patterns that are self-defeating and help others change the behaviour to more personally rewarding behaviour patterns: People frequently do things that are counterproductive and goal disruptive. People run away from frightening situations rather than confront the aspect of a situation that cause anxiety. Others do things to betray trust and cannot understand why others do not trust them. Effective counselors are capable of seeing such patterns and of assisting clients in developing alternative patterns. 12. Effective helpers have a model or image of the quality and behaviour patterns of a healthy and effective, or fully functioning, individual: Included in this model is an elaborate image of effective and ineffective, ways of coping with the stressful situations of life. Effective counselors are able to help others look at themselves, at both their likable and less admirable aspects, without debilitating fear, to identify personal changes that would promote growth and improvements, and to develop approach to bring about those improvements.